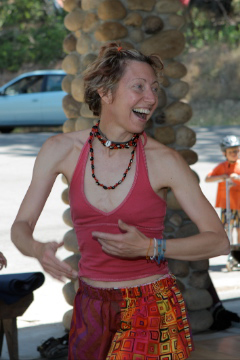 Kris currently teaches in Sonoma County and owns her own studio,The Groove Studio in Santa Rosa, California. Her dream is to bring joy into communities everywhere through her passion, love and respect of African Dance. For more information see her website, krisfreewoman.com. This entry was posted in Born to Drum Faculty from Past Years, Faculty, Teachers from Past Years. Bookmark the permalink.